Carlton Yerex, 1958. Recorded as (Aurelina Hybrid no. 47-2 x Yellow Trumpet Hybrid) Introduced Edgar Cline catalog. 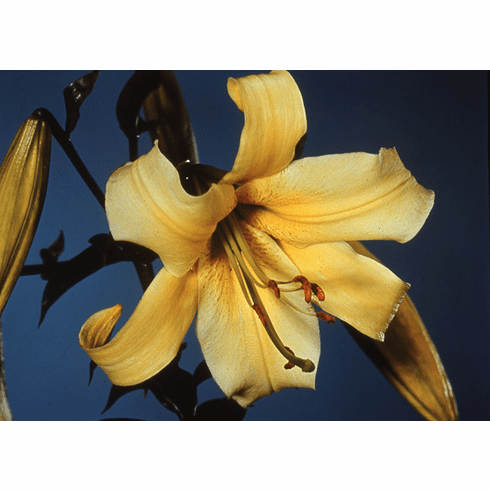 There is a listing for this lily in Edgar Klines "wholesale" catalog from 1964 offering this lily at $2.00 each, or about $15.50 in 2017 dollars.